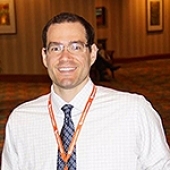 Bryan M. McCormick, MS, CRC, attended the University of Pittsburgh as an undergraduate, where he earned a Bachelor of Science in Psychology in 2006. He then continued his education with the University of Pittsburgh, where he earned a Master of Science in Rehabilitation Science and Technology in 2008, with a focus in Counseling. In addition, as a part of his graduate training, Bryan received an Assistive Technology Certificate from the University of Pittsburgh. Bryan is currently employed as a Vocational Rehabilitation Counselor for the Bureau of Vocational Rehabilitation Service (BVRS) in Pittsburgh, where he provides career counseling for individuals with disabilities. He currently serves individuals from the Center for Assistive Technology (CAT), in Oakland and the Spinal Cord Unit at UPMC Mercy Hospital. In addition, Bryan currently serves as the assistive technology coordinator for the Pittsburgh OVR office. For nearly five years, Bryan has served as a peer mentor, group leader, and cofounder of the mentoring program at UPMC Mercy Hospital, where he helps counsel and educate individuals after acquiring spinal-cord injuries. What's more, Bryan is an avid disabled athlete. He has been participating in adaptive skiing for nearly 15 years and has recently engaged in competitive hand-cycling and rowing. Bryanhas since completed a multitude of 5ks and 10ks and placed second in both the Scranton Marathon in 2013 and the Philadelphia marathon in 2016. Bryan has completed the LA, Pittsburgh, Philadelphia, Canton, New York City, and Miami marathons. Bryan has also completed the international distance cycling portions of both the Pittsburgh and New York City Triathlon relays. Bryan competed in the 2014, 2015, and 2016 Bayada rowing regattas in Philadelphia, and has come in first place in his division each year.